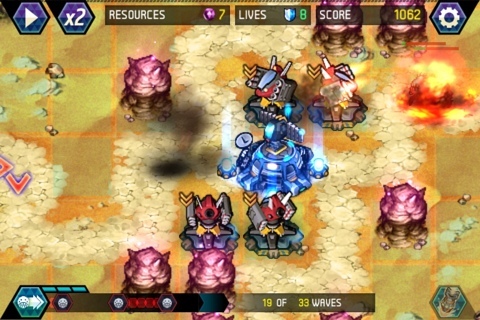 This level can be completed on hard by only building three towers. 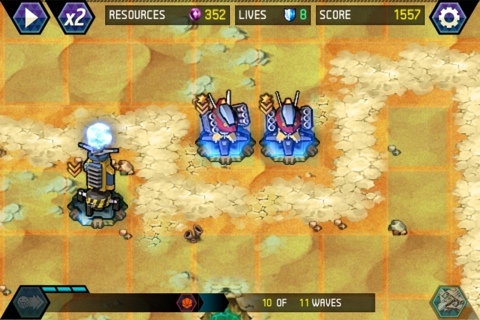 Two splash towers and a slow tower. 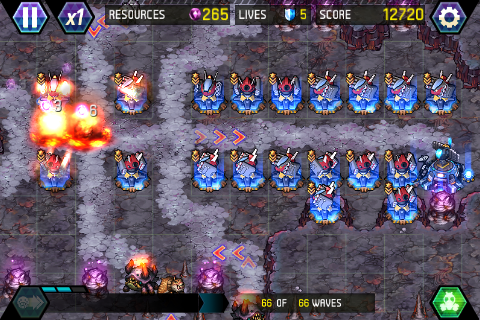 Start with the splash tower, and upgraded to it’s maximum. 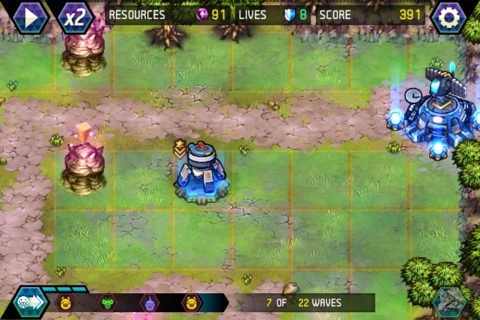 Build another splash tower and a slow tower. 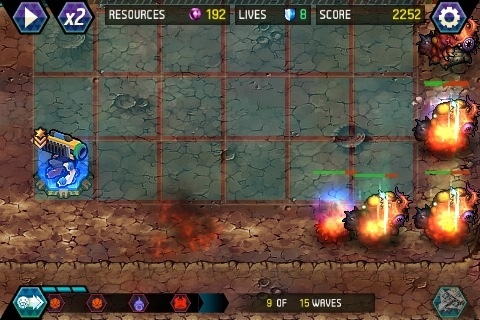 Upgrade the slow tower once and upgrade the splash tower all the way. 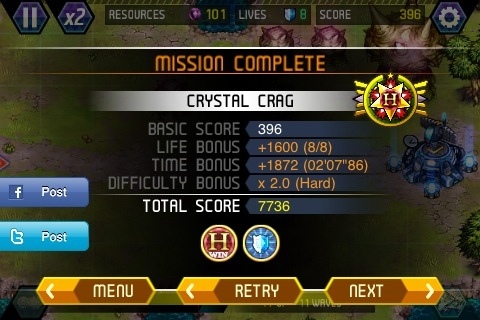 I had to break my own rule to complete this level on hard. 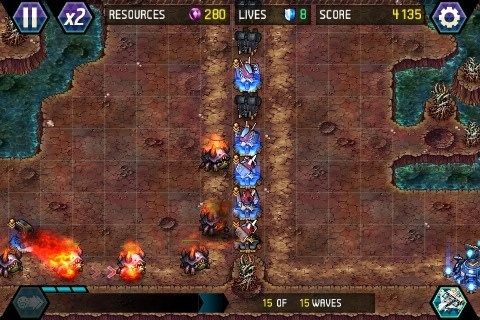 Normally I would always say that the most effective way of completing levels is to upgrade your towers before building others, when I tried this method, I failed. 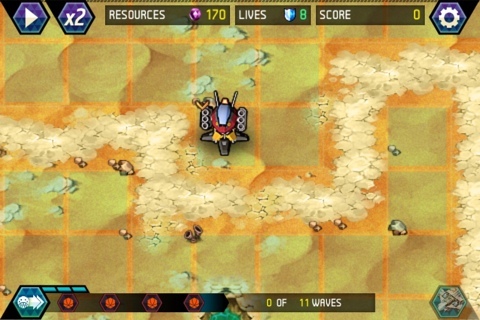 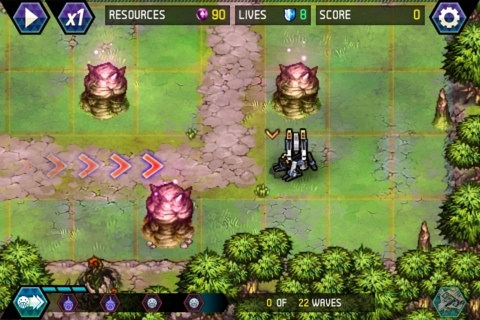 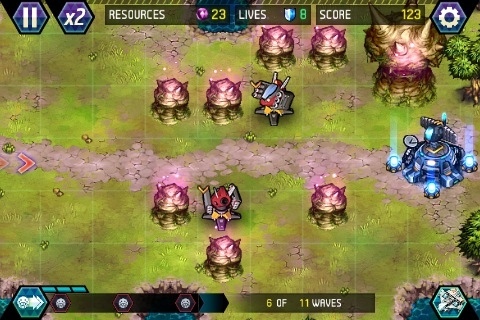 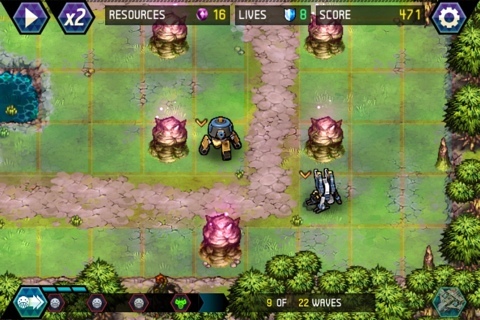 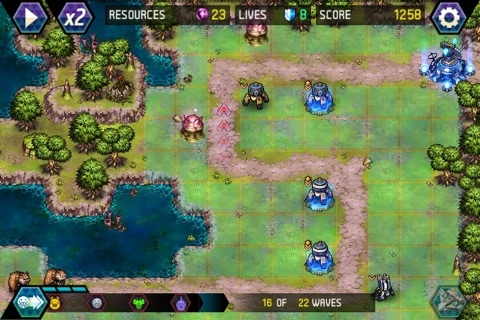 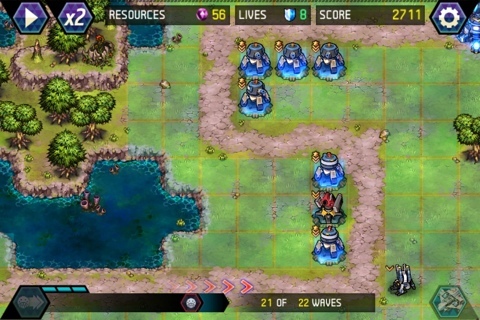 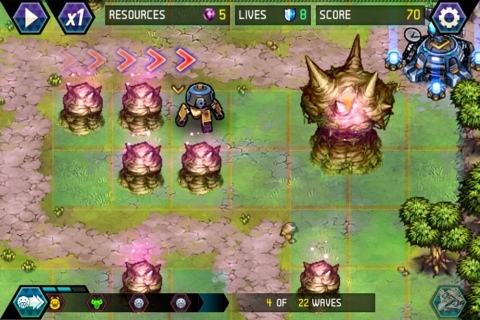 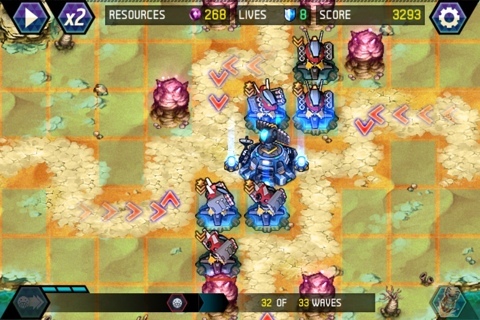 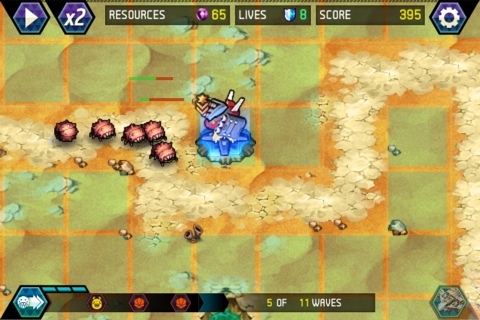 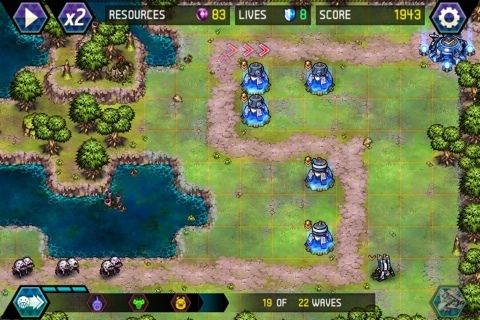 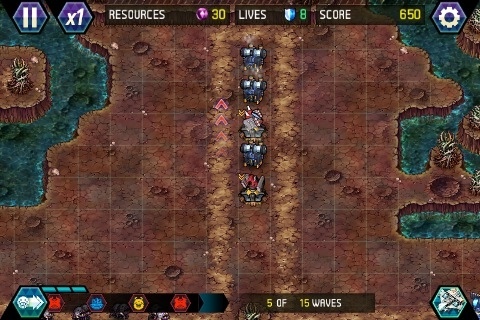 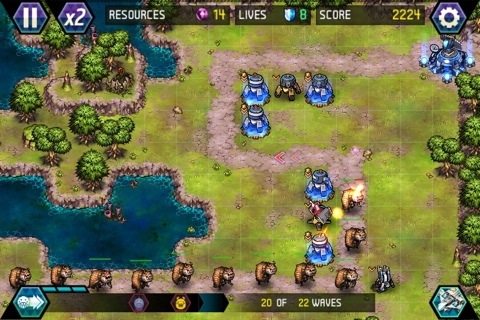 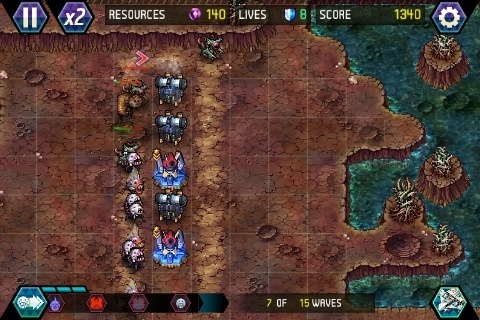 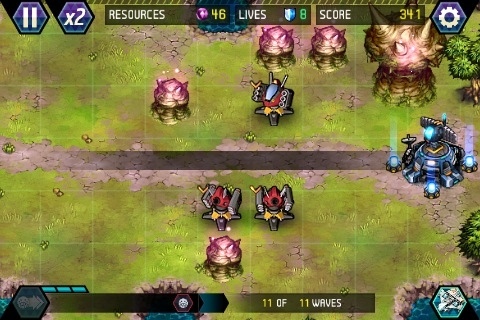 The level can be completed by building three un-upgraded towers. 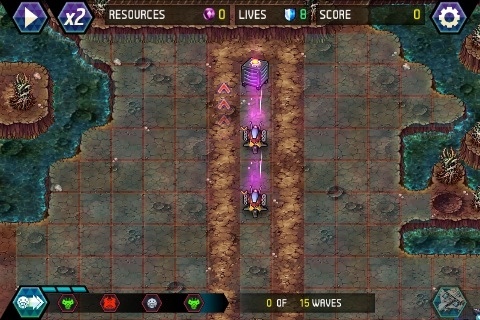 It will take you to around wave 5 or 6 before you can build your second splash tower. 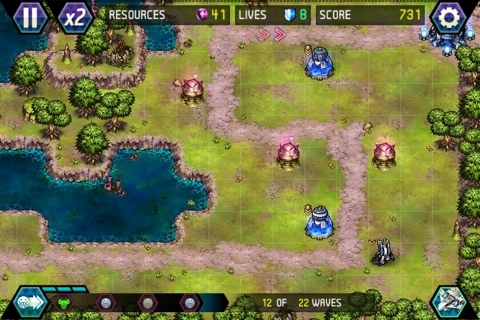 If you are going to take out the pink blobs, then make sure that this doesn’t come above eliminating the enemies.